Colorectal cancer is on the rise among people under 50. Learn how our experts give our patients new hope by treating the disease and caring for the whole person. If you or someone you care about is younger than 50 and has been diagnosed with colorectal cancer, you may be worried and confused. 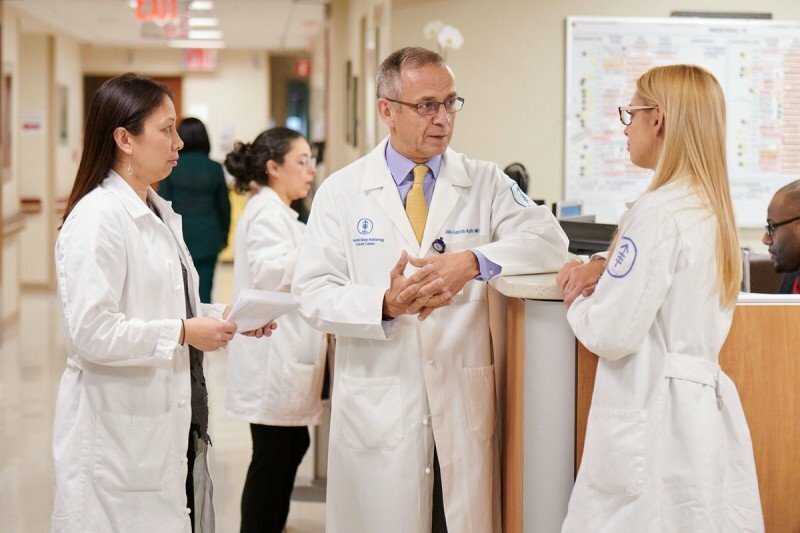 At Memorial Sloan Kettering, you will be cared for by doctors who understand how this disease affects you personally, and who will treat you with the most advanced surgical techniques and the best that medicine has to offer. Our program provides coordinated care that focuses on concerns including your quality of life during and after treatment, preserving fertility, and the long-term effects of surviving cancer. MSK’s Center for Young Onset Colorectal Cancer is the first clinic of its kind in the world dedicated solely to the specific needs of people under 50 who have colorectal cancer. MSK doctors, nurses, and specialists have unparalleled expertise in surgery, chemotherapy, radiation therapy, rehabilitation, and quality-of-life issues. We will work with you to determine the optimal treatment plan for your cancer to give you the best outcome possible. Several years ago we started to see younger patients with colorectal cancer, including people in their 20s and 30s, that we weren't seeing before. Something was happening … and we decided to do something about it. MSK cares for hundreds of people with colorectal cancer under 50 each year. We are here to guide you every step of the way, so you can return to the things and people you love. MSK surgeons perform more robot-assisted minimally invasive surgeries for colorectal cancer than any other institution in the country. These procedures can shorten recovery time and reduce side effects. Our medical oncologists specialize in chemotherapy for colorectal cancer and can customize an approach for you. The goal is to find the best possible treatment while minimizing side effects. MSK specialists can treat colorectal cancer with the latest advances, including image-guided therapies using CT and MRI imaging, radiation therapy, and biologic treatments such as immunotherapy and targeted therapies. MSK has pioneered many new treatments for colorectal cancer, which are tested in clinical trials. These innovations can offer lifesaving therapies to MSK patients that may not be available anywhere else. MSK’s team of colorectal cancer experts includes specialists in a variety of fields. Gastroenterologist Robin Mendelsohn helped Katie Rich feel like herself again. 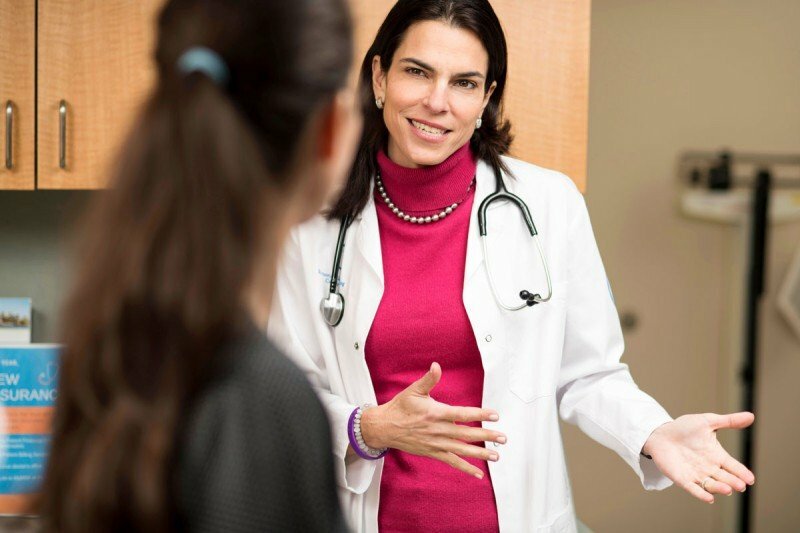 Medical oncologist Diane Reidy Lagunes believes people with colorectal cancer have the best outcomes when they receive counseling and support at the start of treatment. Julio Garcia-Aguilar, Chief of the Colorectal Service, discusses treatment with team members. To find out what's behind the rise in colorectal cancer among people under 50, some of the potential areas we're investigating include diet, lifestyle, medications, environmental exposures, and changes in the microbiome, the community of bacteria and microbes that live in our bodies. MSK cares for more than 400 people each year who are younger than 50 with colorectal cancer. The Center for Young Onset Colorectal Cancer is conducting a major research effort to understand the cause behind the rise in diagnosis in young adults. This effort involves experts from across MSK, including researchers in genetics, pathology, immunology, and epidemiology — the statistical analysis of health. The center’s research effort uses sophisticated testing to search for genetic weaknesses in colorectal cancer cells, which can lead to new treatments. These genetic tests include MSK-IMPACT™, which searches more than 400 genes for mutations and aberrations. This powerful tool can also help identify family members of patients who may be at risk of developing colorectal cancer. Just weeks after delivering her third child, 33-year-old Katie Rich was terrified to learn she had stage IV colon cancer. 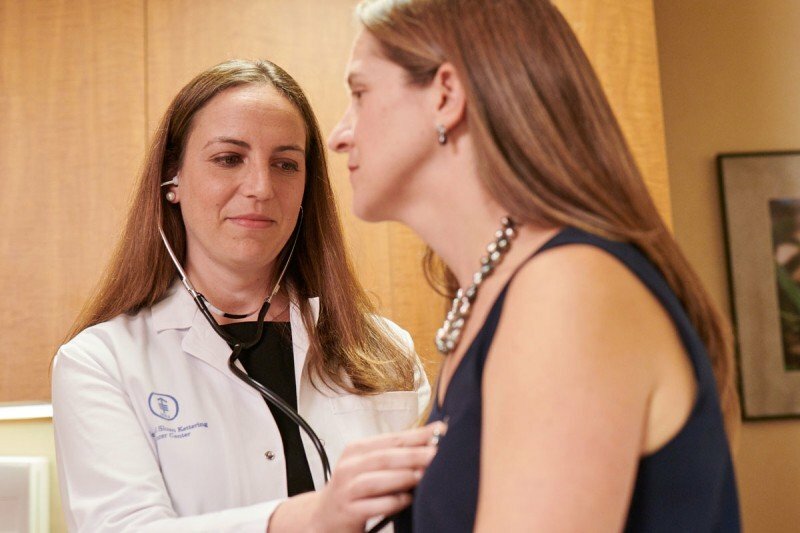 Her treatment at MSK was on track until there was a new twist: Katie and her husband discovered she was pregnant again. Today Katie is healthy and looking forward to an important milestone. You are not alone. Many people find it hard to talk about cancer with their friends and family. Whether you just need someone to talk to or want to learn more about recovering from treatment, we are committed to helping you with all of the emotional challenges of dealing with cancer. Meet our experts in counseling and support. We understand that you may still need our help even after you’ve finished your cancer treatments. Across MSK, we’re committed to supporting you in every way we can — physically, emotionally, spiritually, and otherwise — for as long as you need us. Learn how one patient dealt with a colorectal cancer diagnosis in her 20s. Gastroenterologist Robin Mendelson explains how young people with colorectal cancer are treated at MSK. She also discusses ongoing research into the causes of young onset colorectal cancer. 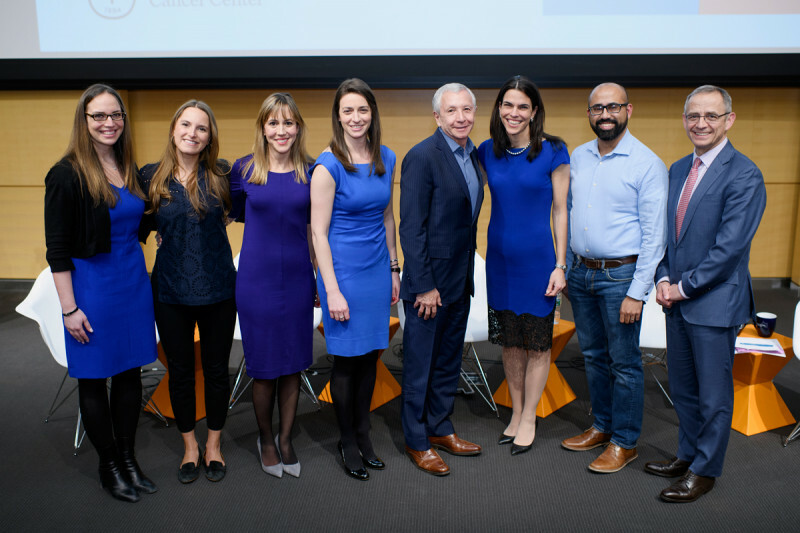 MSK experts and patients gathered in March 2018 for a CancerSmart discussion on colorectal cancer. Watch the webcast. At MSK, we know that colorectal cancer affects everyone differently. We’ve built a focused program with experts in fertility and sexual health issues, nutrition, integrative medicine, and more, so you can get on the best road to recovery. Learn more about Living Beyond Colorectal Cancer. Many of our younger patients either wish to have families or are not quite there yet in their lives, so it's really important to have conversations early about family planning and fertility preservation.